Avalon is the hallowed land of Arthurian fame and you can expect to find many riches here – if you play your slots right that is. There is plenty to look forward to in this mythological slot game so that you can truly enjoy this slot game. 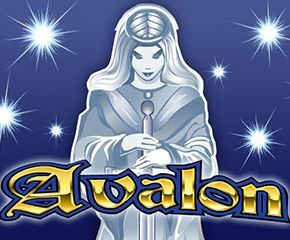 Avalon has been created by Microgaming, a company that is popular enough for its slot game offerings like Lucky Leprechaun and others. This game plays out very beautifully, with well illustrated visuals and sound effects that transport you to Arthurian times. The game is best played on a smartphone so that you can get the full gaming experience out of it. Avalon has 5 reels and 20 paylines and has plenty of symbols of royalty so that you can think about the days of yore when King Arthur and his ilk were said to have roamed the earth. Start playing by placing your minimum wager and then giving those reels a spin to see what you can come up with. This slot game has a very classic feel to it and gives you plenty to look forward to. The symbols seem slightly outdated but that doesn’t make the slot lose any of its charm, to be sure. Wild substitutions: There is a treasure chest symbol that acts as the wild in the game and you will find it appear only during the free spins round. With this symbol, you can achieve a 2x wager multiplier. There is also a castle wild symbol that also comes with the 2x wager multiplier but it can appear at any time during the game play. Free spins: The lady of the lake symbol is the game’s scatter symbol and three to five of these signs will give you 12 free spin games that can have a random multiplier between 2x and 7x tied to it and you can even activate additional free spins while you play. 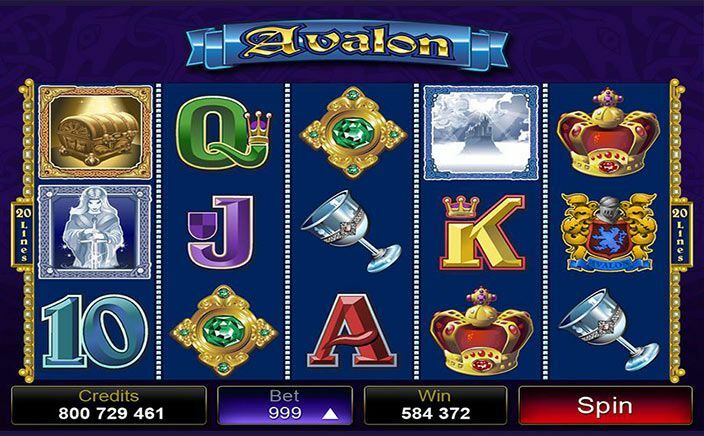 Avalon is a great slot game to have some royal fun with and as a classic game that online slots players have enjoyed over the years, it is a great game to add to your must-play bucket list. The jackpot of 105,000 coins is no little affair and that is the main draw that this game has, and since it is a low to medium variance slot game you can get away with playing a low wager in this one. The multipliers and wilds are also a nice touch, all of which make this slot game extremely fun and entertaining even if you are seasoned slot player, or a newbie.